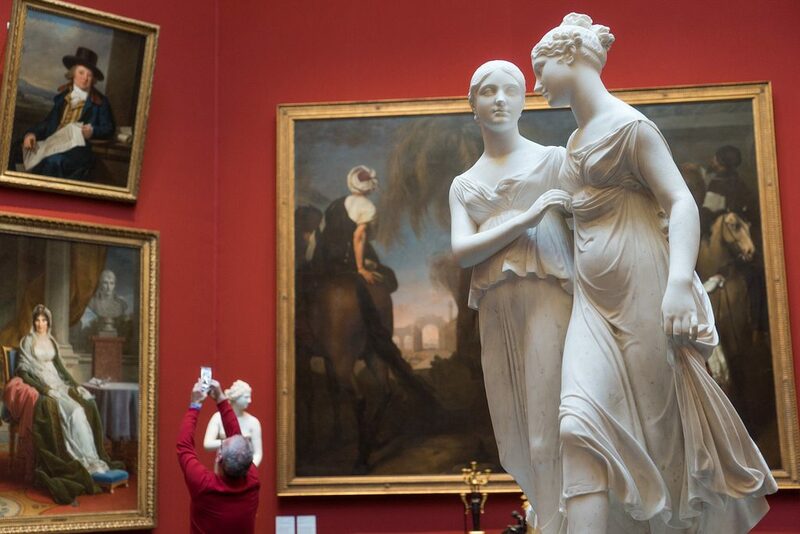 As spaces of emotionally-charged passion and engrossing innovation, Scotland’s art galleries offer a cathartic outlet for art lovers and thinkers alike. Whether contemporary or classical, make it your mission to revel in them all with our guide to some of the best art galleries in bonnie Scotland. The Scottish National Gallery is a hotbed of fine art. Conveniently placed on the Mound right in the heart and soul of Edinburgh, highlights from the Scottish national collection include works from Sandro Botticelli, Raphael, Johannes Vermeer, Edgar Degas and Francis Bacon. Providing a maze of visual narratives, pieces span from the start of the Renaissance to the beginning of the 20th century and feature both Scottish and international artists. Hard to believe it’s free, surpassing the inviting neoclassical building is practically impossible. 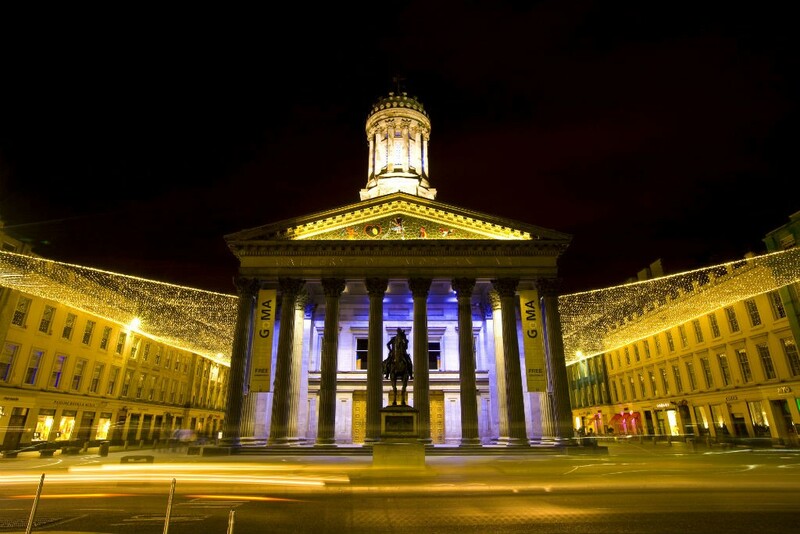 As the main contemporary art gallery in a city where art takes pride of place, Glasgow’s Gallery of Modern Art is a treat. Amidst exhibits showcasing greats like Barbara Kruger, David Hockney and Alasdair Gray reside a wealth of temporary exhibitions and visiting workshops, never ceasing to stimulate the artistic realms deep within the hinterland of the brain’s right hemisphere. Similarly, a recurring theme in GoMA’s mantra is the mission to challenge entrenched social precedents through art with exhibitions like Polygraphs. The jewel in the crown of Scotland’s resplendent art scene, Pier Arts Centre is something special. 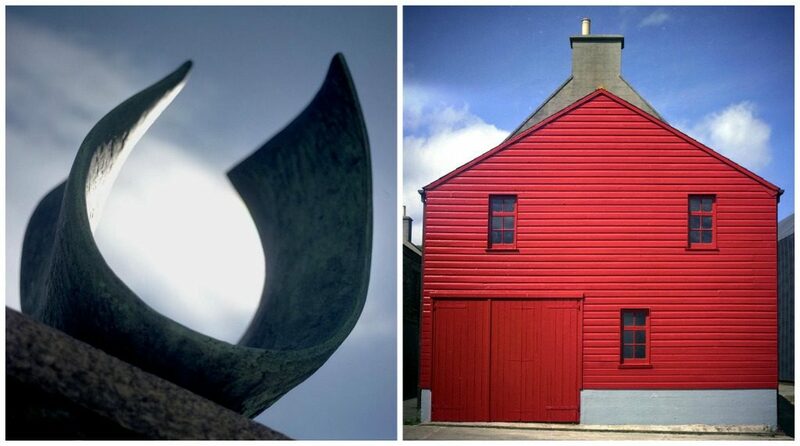 Located in Stromness, Orkney, the centre was born in 1979 when author, philanthropist and peace activist Margaret Gardiner bestowed her collection of British fine art upon Orkney. Works include art from prominent 20th century artists like Barbara Hepworth, Alfred Wallis and Ben Nicholson. Regarded as home to one of the UK’s finest art collections of its time, the spread of ever-changing temporary exhibitions and events are just as riveting as the permanent collection. There’s more magic than initially meets the eye. 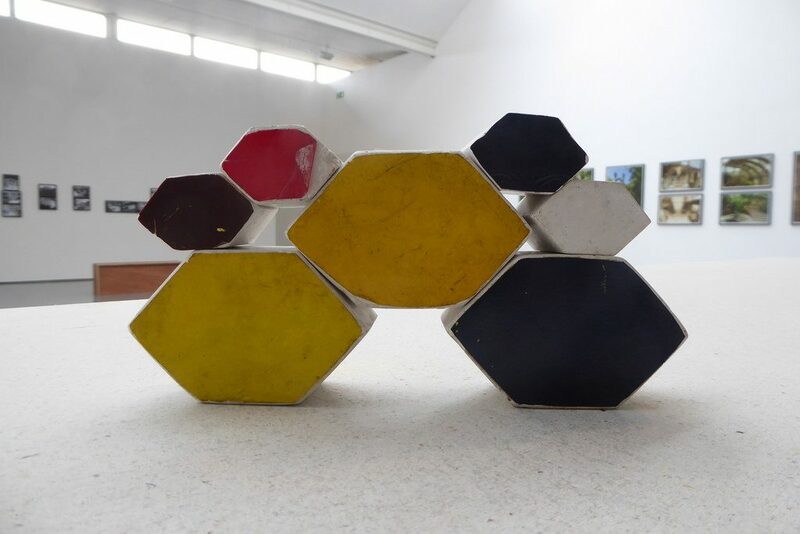 A local fixture since 1999, the multifaceted Dundee Contemporary Arts is an unmitigated artistic playground complete with two contemporary art galleries, cinema, print studio, visual research centre and a café bar. The galleries feature numerous works from a range of acclaimed local and international artists. Although each artwork is as unique as the next — video artists, textile designers, illustrators and so much more — they all share the commonality of a life-affirming sense of wonderment. 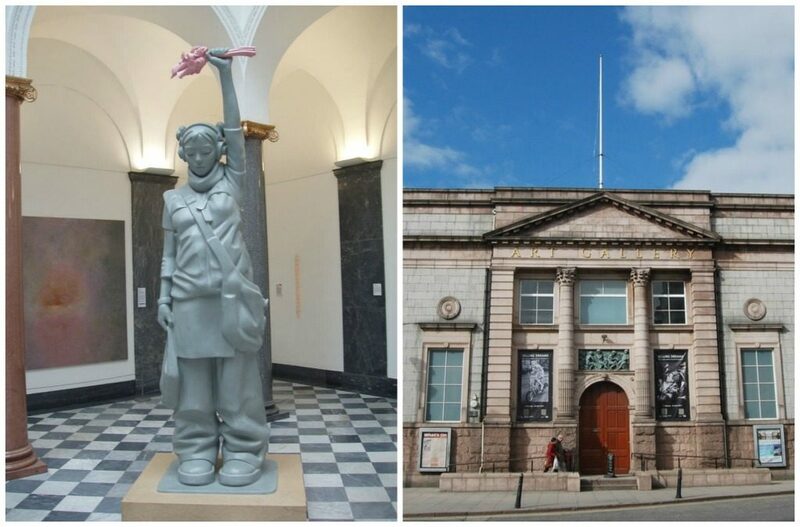 Aberdeen Art Gallery offers a splash of enticing colour in Scotland’s own Granite City. Speaking of granite, the gallery was granite merchant Alexander Macdonald’s art collection in 1990, and you’ll find bold, spiraling granite pillars in the interior. 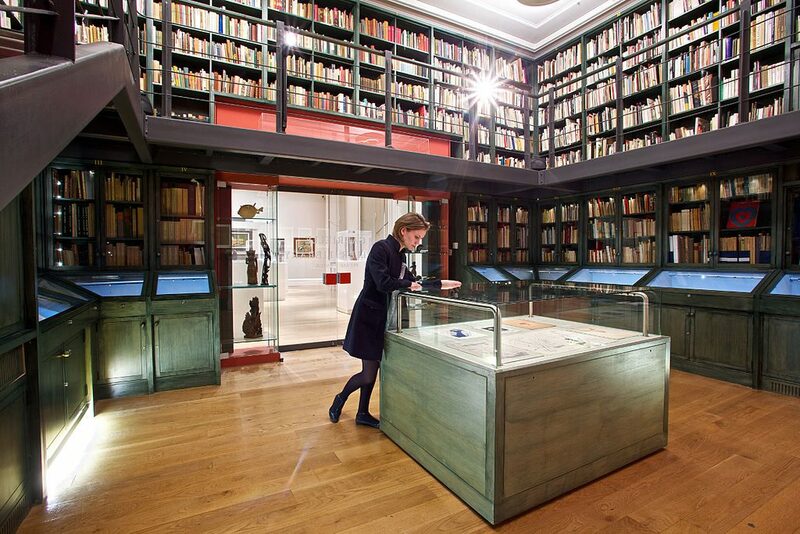 A prime place for contemplation and observation, you can always count on the permanent collection, which includes 18th century British artists like Joshua Reynolds, William Hogarth and Henry Raeburn and 20th century artists like Paul Nash and Francis Bacon, to create a new world of inspiration. The Post-Impressionists, Scottish Colourists and applied arts and crafts are an integral part of the gallery too. A double whammy of an art gallery and museum, there’s no extinguishing the artistic flame of Kelvingrove. Based on the banks of the River Kelvin in a noteworthy Spanish Baroque building, this fine institution is home to a distinguished array of European artworks ranging from the French Impressionists and the Scottish Colourists, to Old Masters, Dutch Renaissance and of course, iconic pieces from the Glasgow School. The grand setting is only rivalled by the collections that surround it like Salvador Dalí’s Christ of Saint John of the Cross and the range of decorative arts gifted from the great Anne Hull Grundy. When it comes to the Scottish Gallery of Modern Art, two for the price of one never looked so desirable! Housed amidst an idyllic yet thought-provoking sculpture park a stone’s throw away from the city centre, both buildings — simply titled Modern One and Modern Two — contain a universe of evocative contemporary and modern works. Between the Dada and Surrealist art, to the burgeoning menu of conceptual art and Impressionist works, anticipate an astonishingly invigorating artistic journey. Fans of sculptor extraordinaire Eduardo Paolozzi will feel on cloud nine.